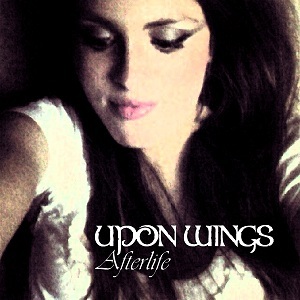 American female fronted band Upon Wings are due to release their Afterlife EP in March. The EP features some guest vocals from Brett Hestla (ex-Creed, Dark New Day) and was mastered by Kid Rock recording engineer Glenn Brown. Opening track "Afterlife" is absolutely superb. Vocally the best comparisons are probably Epica and Delain, and musically Delain are definitely a good comparison too. A very impressive start to the EP. "Take away" is a heavier track with the guitars and drums being harder and making it more of a metal track. "The dream" has an operatic vocal style for the main vocals with some beautiful haunting vocals alongside them and the music is kept fairly soft and in the background. It's a beautiful track. The final track, "You are my weapon" is another metal track. Guitars and solid drums give the song plenty of punch and the superb vocals are clear and light and work perfectly with the music. An excellent EP that will appeal to a lot of fans of female fronted metal, in particular those who like the more operatic style of vocals.